Welcome to Make it up Mondays. I was not sure what I intended when I thought up that name, but this first project may set the trend (not promising) as I have taken a set all about Coffee and changed it up a bit. We are still in Coffee Shop territory, but more about the food and less about the beverage! I think it is safe to say that I have used only two very small stamps and one tiny die in the way they were originally intended. Whether you call the topping icing or frosting, these are certainly cupcakes, and with an added sparkle, just perfect for starting your week. 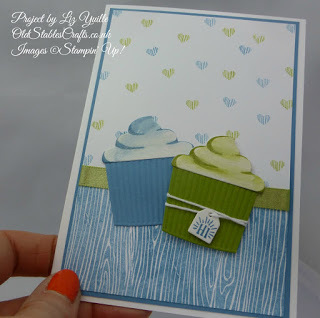 So sit down with your cupcake and a cup of something inviting and enjoy the video! 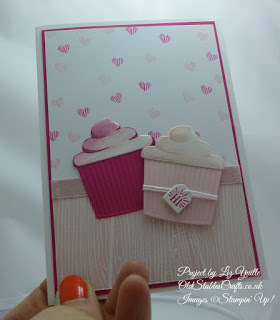 of coloured cardstock and Shimmer White Cardstock.